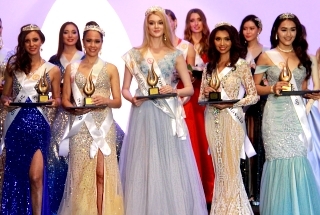 According to my own opinion these are the most glamorous and most prestigious pageants in the world according to rank...Arguably these are the only "GLAMOROUS" and prestigious pageants in the world. What do you think? Did I miss something? Last edited by bootsguy on Wed Aug 01, 2018 9:37 am, edited 1 time in total. Omg! You r starting a war, the fanatics will come after u let’s For ! 1. Miss France - What other national pageant actually flew their contestants to another country as a pre-pageant activity? And no, they didn't just go to a neighbouring country, they flew the girls all the way to California - a 9 hour time difference! To top it off, Ed Sheeran was their guest performer in 2017. Not even Miss Universe has been able to get a performer who currently has a hit song on the time they actually guested. Couture dresses from are also a common sight; granted, Paris is the couture capital of the world, so they do have an unfair advantage there. Lastly, their head judge last year was none other than Jean Paul Gaultier. 2. 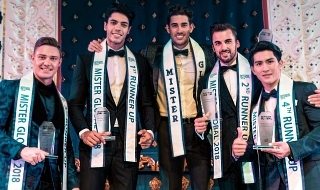 Miss Lebanon - It is usually held at Casino du Liban, which is the playground for some of the world's richest including Aristotle Onassis, King Hussein of Jordan, and Prince Alber of Monaco. 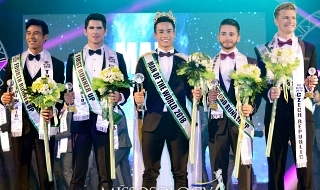 Previously (2014, 2015 and 2016), all the participants were dressed by Zuhair Murad - with each dress costing $15,000 to $20,000! In 2017, Couturier Georges Hobeika dressed all the participants. The Miss Lebanon crown is also custom designed by Yessayan and worth hundreds of thousands of dollars. But this is just my personal opinion and it does not reflect the popularity of the pageants themselves. I've seen the Miss France pageant earlier this year. And I so wanted Miss Universe to be like that. Lakas maka-Victoria's secret fashion show. But then again, Miss U is different from Miss France. And I've seen Miss USA din. Very different from what we've seen so far. If they can adopt that type of presentation, I'll welcome the change. oh thanks for this.. I just thought Zuhair Murad dressing the contestants is the only glamorous thing about this pageant never realized it is more than the dress the show itself is spectacular... i will include it..
Geeyourhair wrote: I completely disagree. The title of this post is "The Most Glamorous & Prestigious Pagents in the World"
Do you see Glamour at the Miss USA pageant? Oh, come on! Maybe it was in the decade of the '80s and' 90s but after the Trump Era, the event is boring and poor! It's your personal opinion, but you forgot important events such as the "MISS SUPRANATIONAL", the most important international beauty pageant that is made in Europe. There’s what u call freedom of expression! cindy_kato wrote: Keep your opinion to yourself. HASHY HARSY TIGIDIG TIGIDIG SI MAMAY CINDY KURLEYTO KO. Show us receipts first char. PAGBIGYAN NA LANG NATIN ANG MGA TRIPS .